From award-winning author Erika Kelly comes the second standalone title in her brand new, smoking hot series about four elite athlete brothers raised in the Tetons by their eccentric, billionaire dad and uncle,The Bad Boyfriend Series! Don’t miss your chance to meet the dedicated and swoony Will Bowie in THE HEARTLESS BOYFRIEND! Grab your copy today! Grab THE HEARTLESS BOYFRIEND in eBook or paperback today! But he didn’t look at her like he was pissed or annoyed. No, with his nostrils flaring like that, he looked like he wanted to use both hands to rip her dress wide open and drop his face in her cleavage. And she wasn’t entirely sure she’d stop him. Her pulse fluttered out of control, and desire streamed through her. His chest was right there—close, but not touching. His mouth, a whisper away, and her body yearned for him to close the last inch of distance between them. “Would it help if I…” He brought both hands to his head and messed up his hair. “How about if I got some ink. Like maybe a sunburst right here.” He brought her hand to his chest, just slightly off-center. His strong arm wrapped around her back, and he hauled her to him, pressing his warm, soft mouth on top of hers. And then he kissed her. It was so good, so unexpected, that she practically soared right out of her body. Her pulse quickened, and she had to squeeze her hands into fists to keep from scraping them through his hair. I could fall so hard for this man. He parted his lips, and the way he licked across her bottom one had her drawing in a sharp breath as pleasure bloomed across her skin. He took advantage of her surprise by sweeping his tongue into her mouth, tilting his head, and kissing her like the clock was ticking, and he’d never get this chance again. Sensation flooded her, making her nerves hum and her knees go weak. And don’t miss the first book in The Bad Boyfriends Series, THE WORLD’S WORST BOYFRIEND! Grab your copy today! He’s searched for her across centuries. But he’s not the only one . 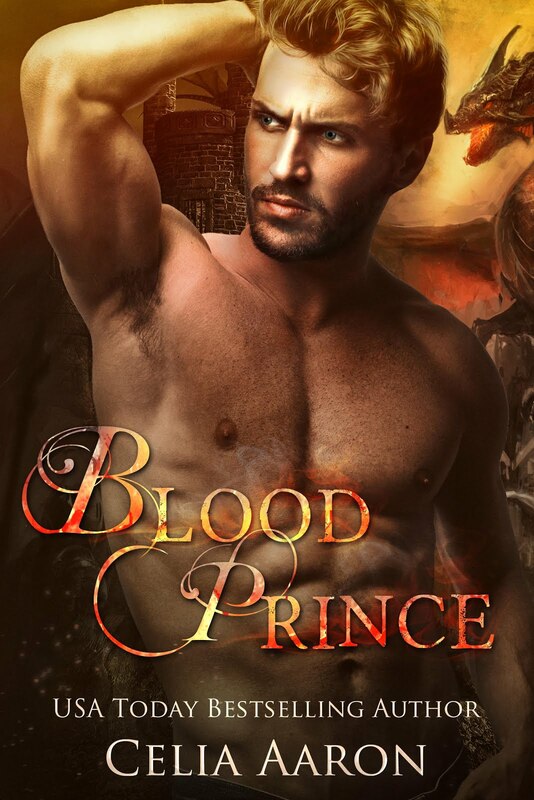 . .
Paris, heir to a vampire kingdom he has never claimed, is adrift on earth and in the Underworld. The bounty on his head keeps him on the run. When he realizes the woman whose death haunts his dreams could be alive, he will risk everything just to touch Helen again. But her past can’t be erased, and neither can her old enemy–a demon who will destroy worlds just to possess her. Author’s Note: This is a standalone fantasy romance with vampires, witches, and mythological creatures. I love a good paranormal romance, so I was excited to read this one from Celia Aaron. Her books are usually so rich with backstory and her characters so well-developed, so I had high anticipation for this book. I was not disappointed! From the prologue, Aaron gives us a rich backstory steeped in mythology. Paris is broody and fierce, but his emotions run deep. Elena is fierce herself, working as a handmaiden for a goddess, completely unaware of her storied past. When Paris and Elena meet fireworks explode and the story just grows! Lots of detail, lots of emotion. I could not put it down! One of Kendall Ryan’s recent best! This story of second chance love is pretty great! Weston and Jane were high school sweethearts. But, you know how it goes… they go to separate colleges, football becomes more important to one of them, they end badly. That’s what happened with our Weston and Jane. Weston broke Jane’s heart in more ways than one. So now, we fast foward 10 years and they are suddenly reunited when he gets the starting QB job for the team Jane works for and who Jane’s father, Weston’s former mentor, coaches. Can you say awkward?! I am a huge fan of Kendall Ryan and I enjoy all her books, some more than others, of course, but I enjoyed Dear Jane more than most. Ryan seemed to get back to her original writing roots with a simple story without a lot of fillers and fluff. A good old second chance romance with just enough angst and a good back story. I flew through the pages taking in every word, not wanting it to end and yet wanting that HEA so much. I loved the secondary characters, the story and the H and h! A great story that has pretty much everything you want in a romance. When You Became Mine takes the reader on a journey that spans 20 years. Two friends, as close as siblings. Piper loved Hampton her entire life, until a tragedy brought secrets to light. Lawson loved Piper, but could never compete with his brother Hampton. Lawson left town and now eight years later, he is back and Piper is his roommate. This was a good read. I am not usually a fan of time progression books, but I liked how the author did it here. She progressed through important times in the characters’ lives without over doing it. Then brought it all home when Lawson returned to his hometown. I loved how we, the readers, could see Lawson’s feelings for Piper, but Piper never realized it. I think it allowed their relationship to progress organically. Nothing was rushed. There was even a little mystery in the book that was a nice addition. A good read— romantic, fun, emotional. Today we have the release day blitz for A.S. Teague’s WHEN YOU CAME MINE! Check it out and be sure to grab your copy today!! I stood and brushed off the back of my pants, hesitating. Who was this guy? His smile widened, and he winked—Lawson Reed, the nerdiest man I knew actually winked at me, before giving his outstretched hand a little shake. With a lift of my shoulders, I sucked in a breath before stepping into his open arms. It was strange at first, but when he pulled me in close I rested my head on his chest, desperate for any morsel of comfort I could get. His heart beat strong, steady, in rhythm with my own. I allowed my lids to flutter shut again and I inched myself closer, holding Lawson impossibly tighter while he slowly rocked me back and forth. The music played, and I got lost in the words. The way I felt in Lawson’s arms. All too soon, the song ended, and a more upbeat one took its place.